Since moving into my house in October, people have been loving my home updates on social media and I'm constantly getting questions about where I bought things from. I've always been a massive fan of home decor and interior design - my dream career as a child was to be an interior designer when I grew up. My favourite TV shows growing up were changing rooms and extreme home makeover so that says it all doesn't it. Now I have my own house, one of my favourite past times in browsing websites for cute new home accessories to add to my house. In my opinion, accessories for the home are exactly the same as accessories for an outfit - they totally finish a room off just as they finish off an outfit and can take it from fairly basic to something quite special. With this being said, I thought I'd share a few of the items I've been buying over the past couple of weeks as I had a little splurge at Matalan HomeMy boyfriend keeps telling me off for spending so much on accessories when we still have main work to be done like painting walls but I just can't resist. 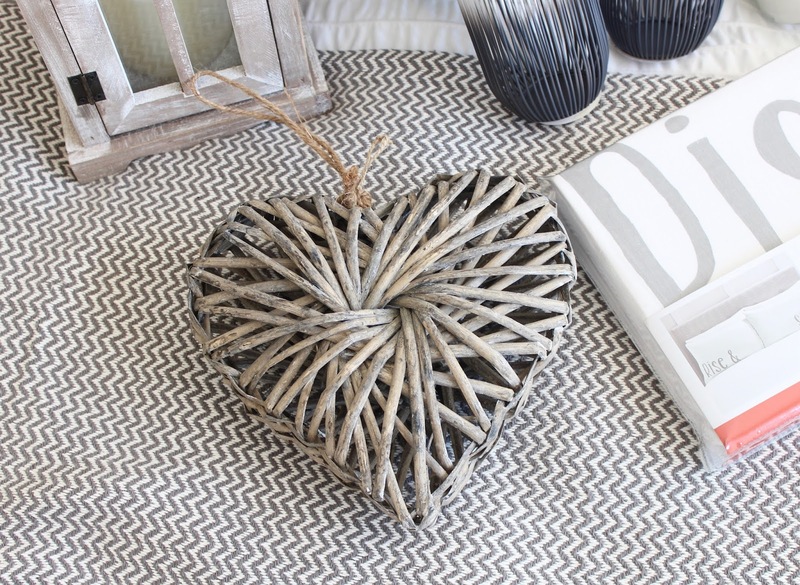 I want my home to look cosy and homely and accessories are the perfect way to do that. 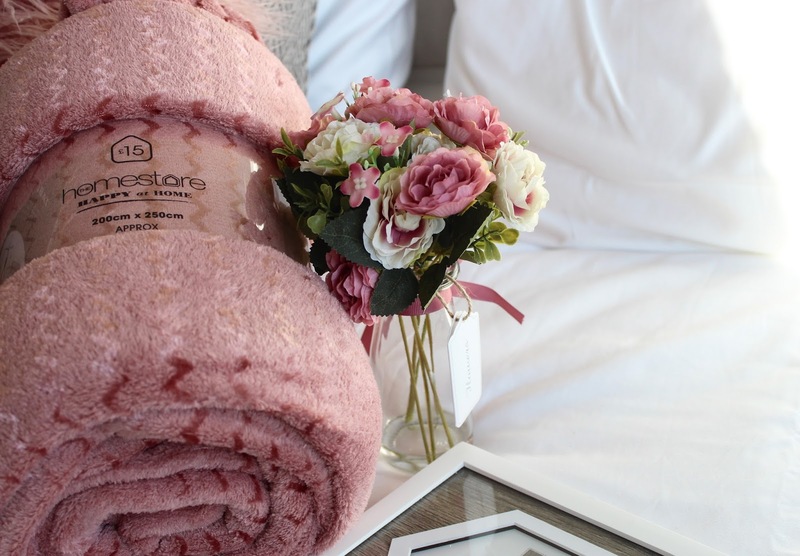 Creating the perfect home is obviously a work in progress and will take months and months to do everything the way we want it but that costs a lot of money so cute affordable accessories are a great place to start. 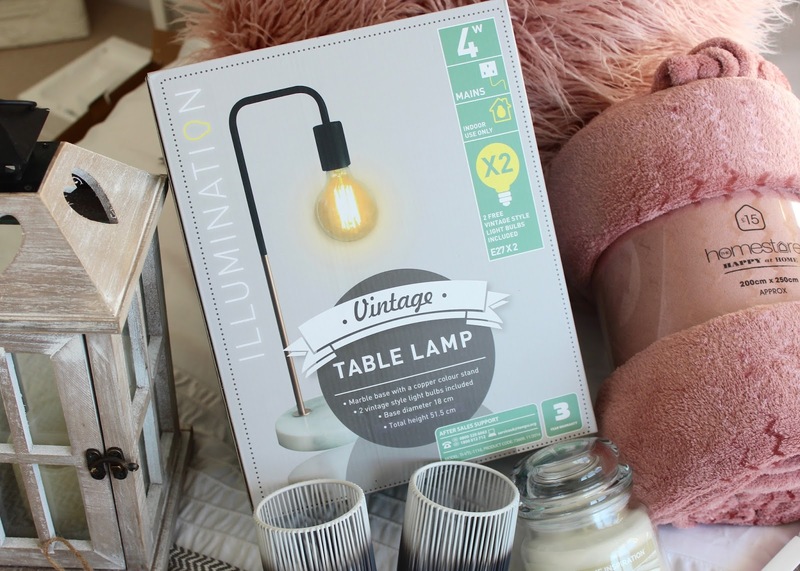 I had to start with this lamp from Aldi (yes, Aldi - can you believe it?!) as I recently posted it on my Instagram (@kayleighjcouture) to let my followers know I'd got it for only £10.99 and it went down an absolute storm. I never expected it to get such an amazing response but the post got well over 100 comments and I was receiving DM's from loads of people saying they'd gone out and bought it after seeing my post. I always love seeing that people have taken my recommendations on board and I'm happy I've helped people grab a beautiful bargain for their homes. I still can't believe how nice it actually is for only £10.99 - it looks so much more expensive. Plus, it has a mixture of marble and copper so what's not to love?! 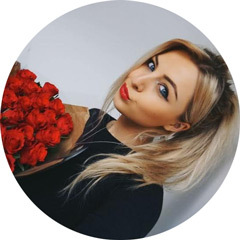 Dream blogger style!! 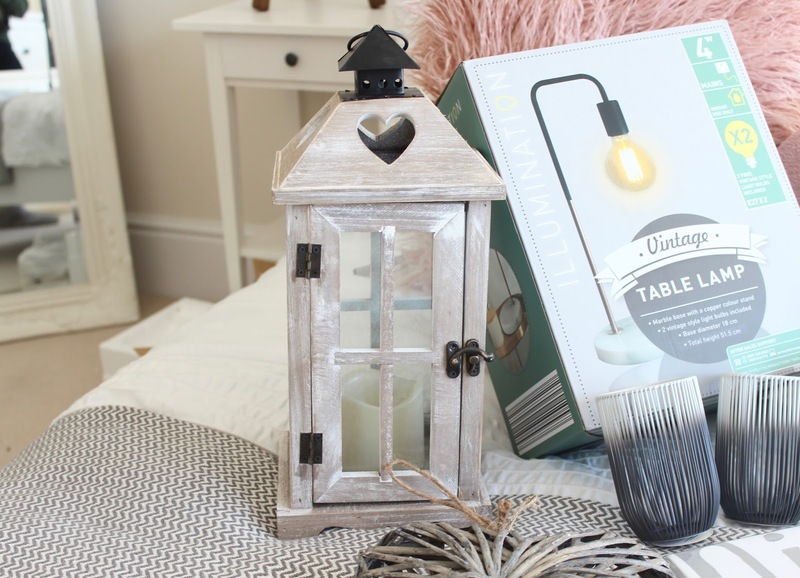 Next up is this super cute wooden lantern from Matalan - as is everything else I'm going to show in this haul. 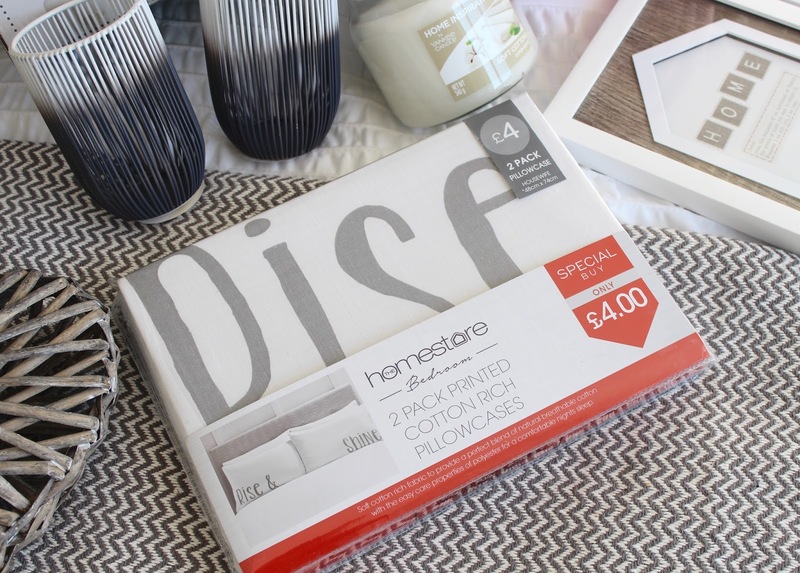 I often browse the Matalan home section as they have so many bargains and the styles are always right up my street. This lantern jumped out to me as son as I saw it - I'm very much into shabby chic pieces so this is very me and the little heart cut-out is so cute. 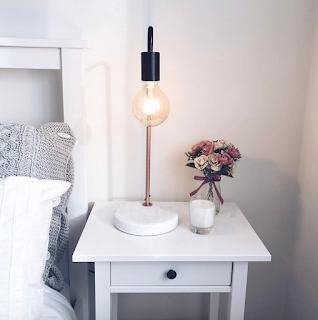 It looks perfect sat on top of my Ikea Hemnes chest of drawers in the spare bedroom with a battery powered candle flickering away inside. I'm a total sucker for artificial flowers and have them all over the house. I know they don't beat the real deal but that costs a fortune to keep on top of so artificial do the job just fine. You'll notice a bit of a peachy pink theme in this post as I've decorate the spare bedroom in greys and pinks (much to the boyfriends dismay haha) and I thought these Camilla flowers would be a lovely little addition to the room. 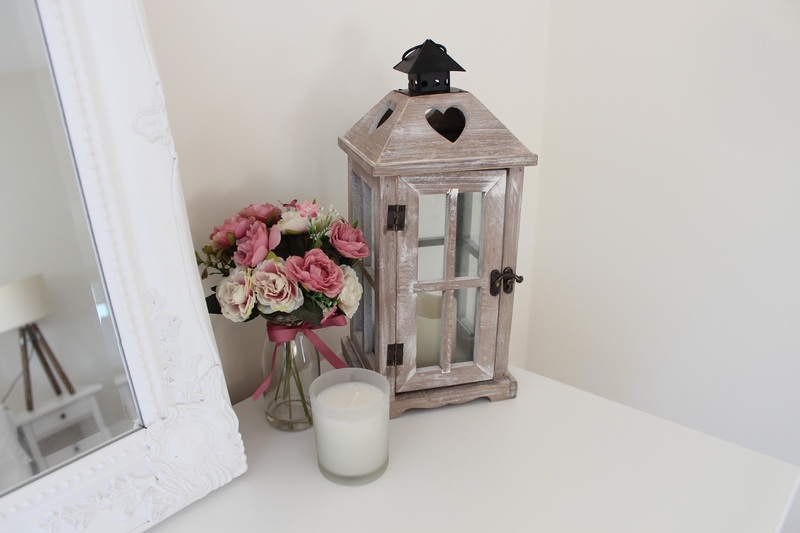 They're in a cute little glass vase with pink bow detailing and look great sat on the chest of drawers next to the wooden lantern (see photo of them together above). I can't resist anything with a slogan and these Rise & Shine pillowcases are just so adorable. 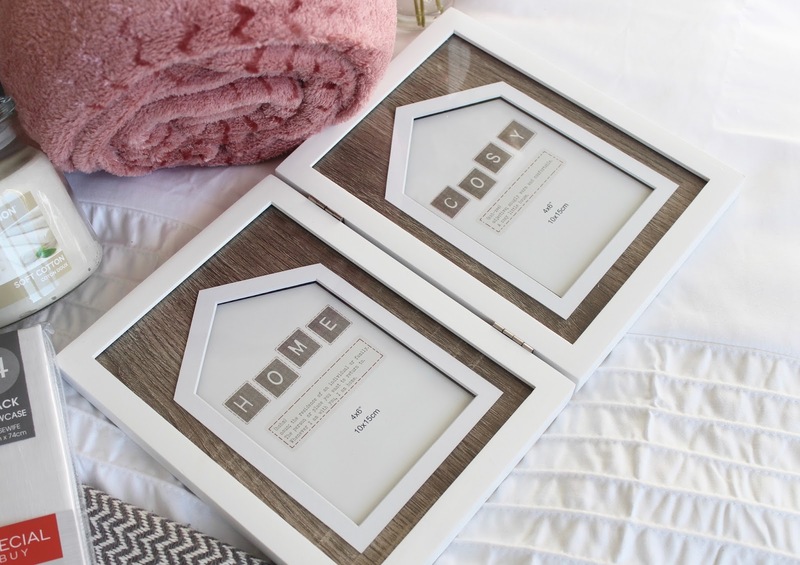 These are going to look so cute in the spare bedroom! I'll have to share a photo of them on my Instagram when I've ironed them and put them on the bed! Is it just me who is obsessed with handing things off door handles?! Almost every door handle in my house has something hanging from it - if I can make a door look prettier, I will. 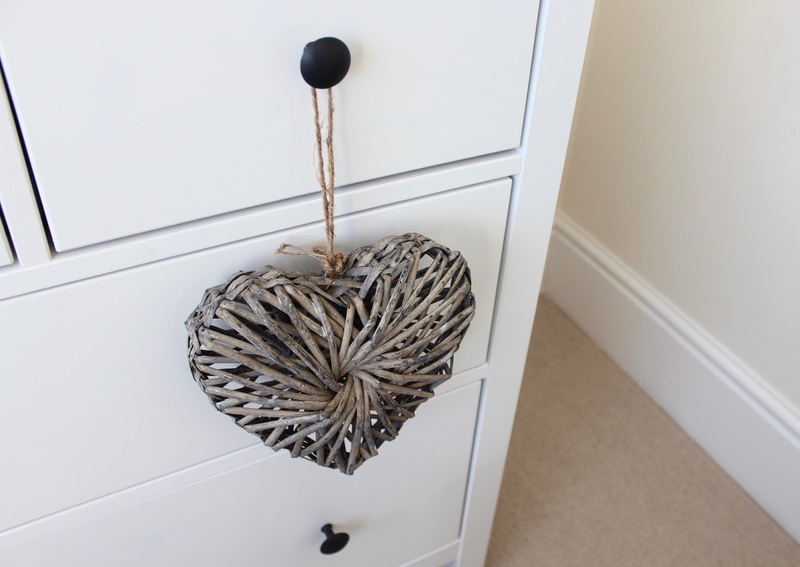 I love this rustic heart decoration I picked up - it's made from twigs which I just love and things like this add such a nice finishing touch to the room. I was initially going to have it handing from the handle on the chest of drawers like I have above but it's since been moved to the handle of the storage cupboard in our hallway!! Much like artificial flowers, I'm also obsessed with candles so you can find tea light holders all over my house. 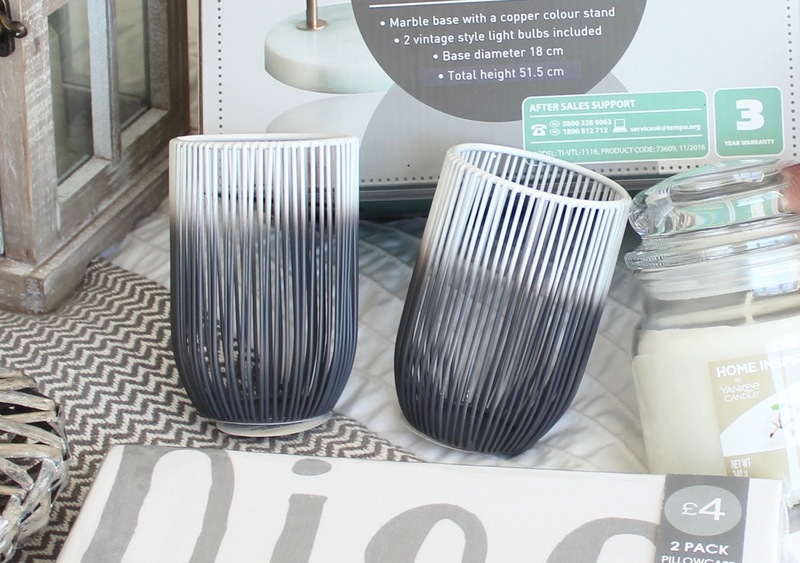 The colour scheme in the main bedroom has different tones of grey with white and silver so I thought these grey ombre tea light holders would look lovely on the window sill. I love the wire design too - they're just that bit different than a standard tea light holder. I'm on the look out for a few more accessories for the main bedroom but these are a nice start! As I said, I'm obsessed with candles and my house is literally covered in them. There's just something so relaxing about lighting candles and watching them flickering away. My all time favourite scent for a candle would have to be anything cotton or fresh linen scented as they're so homely and fill the room with such a lovely fresh scent. The Soft Cotton Yankee candle is one of my favourites as I love the jars and they fill the room with such a strong scent. I bought this cute white photo frame from B&Q whilst Matt was grabbing some DIY bits and pieces (I didn't realise they did so many home accessories) as I need to start adding more photos of myself, Matt and our friends and family around the house. A house isn't a home without a few family photos after all. I love the two sided style of this frame - when sat on a surface it looks like a little open book. This will probably be another one for one of the bedrooms. Finally, I picked up this Pink (well, it's more of a peachy pink) fluffy cushion and a zig zag printed throw in the matching colour to add a bit more colour to the spare bedroom. 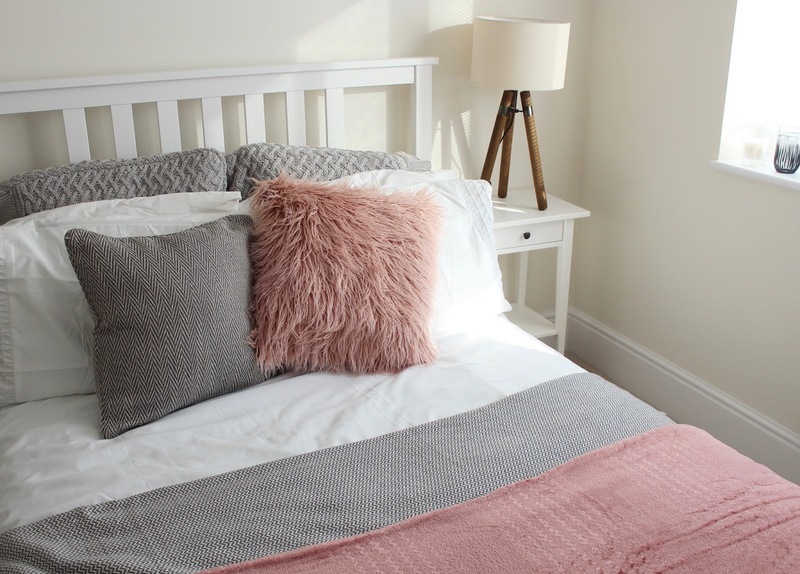 I personally love grey mixed with pinks - they compliment each other so well and as our house is a new build and all the walls are currently magnolia (soon to be changed) I thought it would be nice to add something that bit more colourful to the room. As you can see in the photo above, they look really cute together on the bed. P.s - the tripod lamp in this photo has now been replaced by the Aldi lamps as these ones didn't really match the theme of the room - they're now going in our other guest room. I hope you guys enjoyed this post - do let me know if you'd like to see more hauls or more home related posts as anything I post about my house on Instagram seems to go down really well. Such lovely pieces! I need that pink fluffy cushion in my life! How COULD you resist that vintage table lamp! It's lovely! Gorgeous finds :) I love that desk lamp! Everything you bought looks so lovely! I'm moving out next year (feels like forever away) and cannot wait to start decorating my own place!! I love everything you bought - the Aldi lamp is such a bargain! That fluffy pink pillow is everything!!! Love how you made your place look so cozy! I love everything you picked up! That Aldi lamp is an absolute bargain!! I love everything you picked up! That Aldi lamp is an absolute bargain! Oh my goodness that table lamp looks amazing! 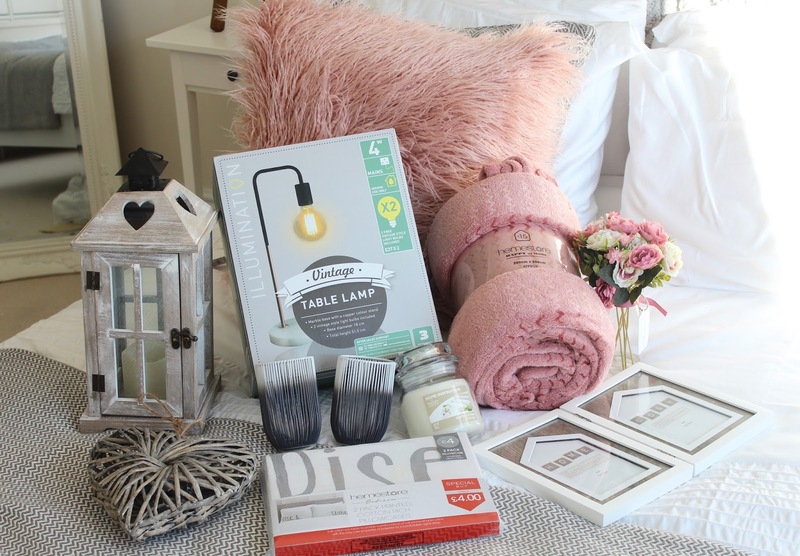 Love a good homeware haul! The lamp is my fave! Can't quite believe it's from Aldi! I think I need to plan a trip! Lovely! 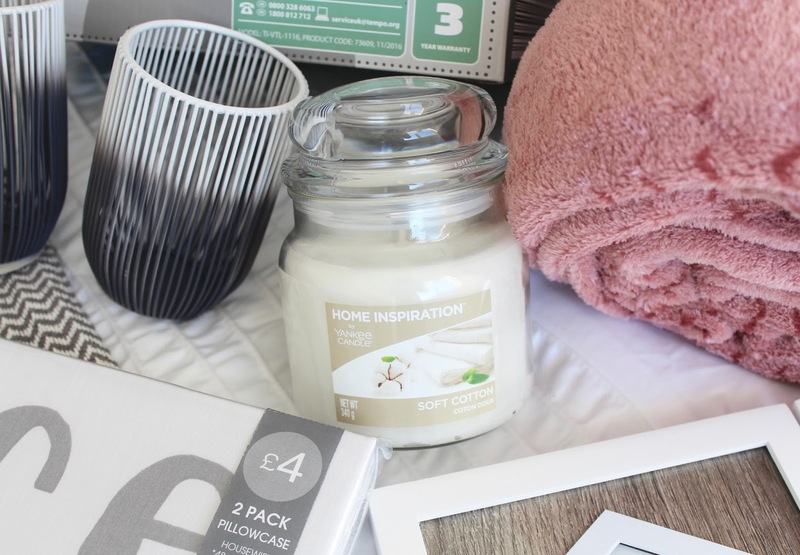 I can't wait to live in my own home and do a homeware haul!